The day we knew was coming arrived. Steve Jobs, the iconic co-founder of Apple, has stepped down from the company he helped make one of today's leading tech firms. Stating he could no longer perform the duties as Apple's CEO, Jobs stepped down with Apple COO, Tim Cook, taking the reigns as Apple's new leader. Here is a roundup of PCWorld coverage of what's next for Apple and a look at Jobs' legacy as Apple's CEO. Jobs will stay on as chairman of the board. Apple chooses chief operating officer Tim Cook as his successor. COO Tim Cook will take over in the wake of Jobs' resignation. Who Will Drive the Tech Industry Forward Without Steve Jobs? Apple for years rallied around its charismatic co-founder, Steve Jobs, so it's only natural now to question whether the company can retain its market dominance. The news of Steve Jobs resignation as Apple CEO has caused many to have post-traumatic flashbacks of Jobs' last departure, and serious concern for the future of the iconic tech giant. Apple's former CEO, and now chairman, Steve Jobs does not think in sound bites. Reading through the wealth of interviews in his career, one is conscious of a mind working through both questions and answers, and taking little for granted. 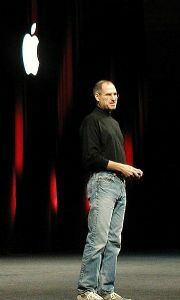 In a letter Wednesday to Apple employees Apple CES Steve Jobs said he would step down temporarily for health reasons. Whether it's a flat-panel iMac or a new handheld, device announced at next week's Macworld should make waves. Given up for dead by many a year ago, Apple Computer appears well on its way to recovery, opening its annual Worldwide Developers Conference here Monday.